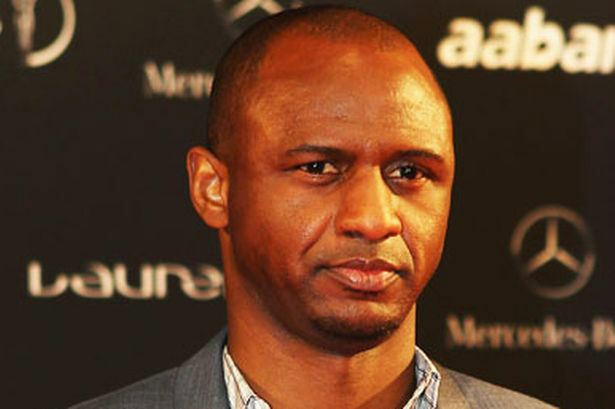 Soft is not a word used to describe former Arsenal legend Patrick Vieira. Standing at a whopping 6ft and 4 inches, the tall French midfielder was hard to miss on the soccer field and possessed a lion’s wrath when in full playing mode. The Senegal born French midfielder has always maintained a strong track record of wins wherever he has gone. From Arsenal, to Juventus and Milan – there have always been trophies and cups and accolades. One thing which Vieira was known for was his consistency to win tournaments. Currently he is the head coach of New York City FC and resides in New York. Since 2010 Vieira has been a Goodwill Ambassador for the Food and Agriculture Organization of the United Nations. Vieira was born in June 1976 in Dakar, Senegal. Despite being born in Senegal Vieira did not return to the country of his birth until 2003. Vieira’s family move to Paris, France when he was 8 years old. His father left his mother when Vieira was just 3 years old. Initially as a teenager, the then 17 year old Vieira played for Cannes and by the time he hit 19 he was already captaining the team. By the summer of 1995 he was signed on by Italian giants Milan where he played for a year before his legendary shift to Arsenal. Vieira played for Arsenal for 9 years before shifting to Juventus, then Inter Milan and finally Manchester City before retiring from the game. It was at Arsenal where Vieira really made a mark and joined the ranks as of the game’s greatest players. He joined Arsenal at a time where the team needed a strong defense in the midfield and that was exactly what Vieira provided for them. Vieira’s spell in Arsenal was nothing short of legendary. From 1996-2005, his tenure there – were one of Arsenal’s strongest years in the League table. Vieira eventually became the club captain and won three Premier League titles and four FA Cups. With Arsenal Vieira won the Premier League titles in 1998, 2002 and 2004. He also won the Emirates FA Cup in 1998, 2002, 2003 and 2005. 2005 was the last time Arsenal won the FA Cup and to this day they remain winless there; it was only Vieira who lead them to their last title back in 2005. Vieira eventually moved on from Arsenal to Juventus for one season where he helped the team win the Serie A championship. From there Vieira moved on to Internazionale and won three Serie A titles before moving to Manchester City before announcing his retirement from soccer in 2011. At an international level Vieira has obtained 107 caps for France and was part of the 1998 World Cup team, and the 2000 Euro winning side. He was also in the French side when they were runners up in the 2006 World Cup. During his time for the France Vieira won 107 caps and scored 6 goals. In 2007 Vieira was placed at number 33 by The Times as one of the 50 hardest soccer players in history. He was on the cover of FIFA 2005 Magazine. In 2014 FIFA names him as one of the Ultimate Team Legends.